Princess Alyrra’s strength lies in silence. Scorned by her family, she avoids the court, spending her time with servants. When her marriage is unexpectedly arranged with the prince of a powerful neighboring kingdom, Alyrra feels trapped. As the court celebrates her match, dark rumors spread about the unexplained deaths of the women of her new family. Alyrra begins her journey with mounting trepidation. Betrayed while traveling, she seizes an opportunity to start a life away from court. I nearly choke—magic? Since when has my mother dabbled in magic? And how abysmally little I know her if I do not know this! She unfolds a square of white silk no larger than a kerchief. A wave of dizziness passes over me. I stagger sideways, bumping into the edge of the desk. When I raise a hand to my face it comes away damp with sweat. Intisar Khanani grew up a nomad and traveler. Born in Wisconsin, she has lived in five different states as well as in Jeddah on the coast of the Red Sea. She first remembers seeing snow on a wintry street in Zurich, Switzerland, and vaguely recollects having breakfast with the orangutans at the Singapore Zoo when she was five. She now resides in Cincinnati, Ohio, with her husband and young daughter. Intisar writes grants and develops projects to address community health with the Cincinnati Health Department, which is as close as she can get to saving the world. Her approach to writing fantasy reflects her lifelong passion for stories from different cultures. 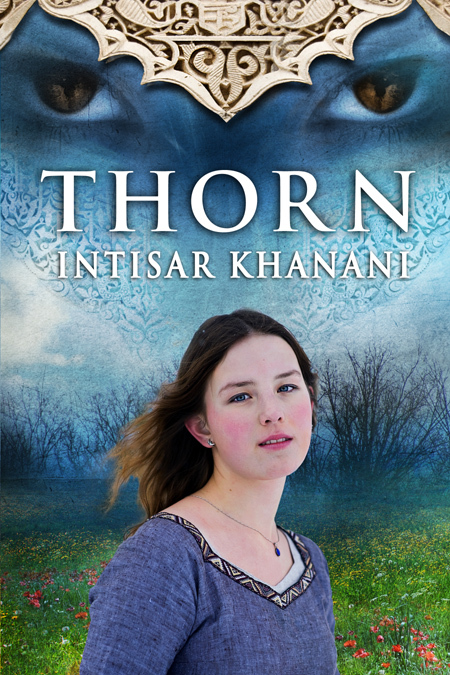 She is currently writing a trilogy set in the same world as Thorn. This is her first novel. 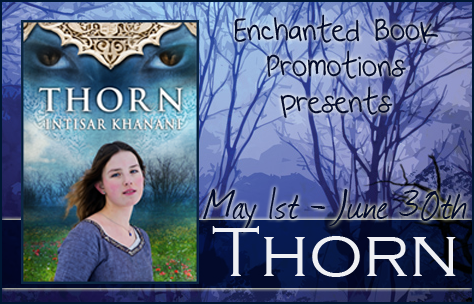 Thorn will be available via major e-retailers, including Amazon, Barnes and Noble, Apple, and Sony. Amazon will also have a print edition available. 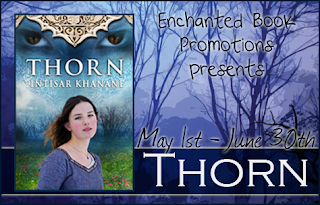 Thanks for featuring Thorn on your blog!